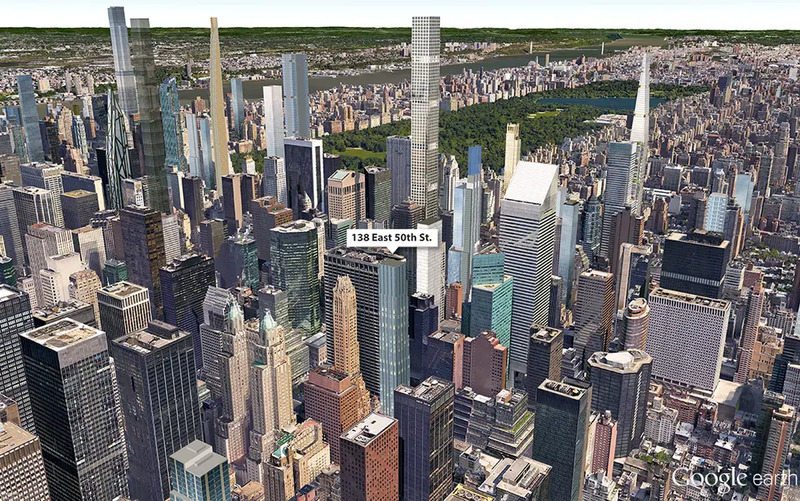 In December, we reported that 138 East 50th Street, a new 62-story condo in the heart of Midtown East, has begun its 803-foot-high climb. We also showed you images of the glass-and-terracotta façade mock-up designed by Pelli Clarke Pell Architects with Permasteelisa Group. 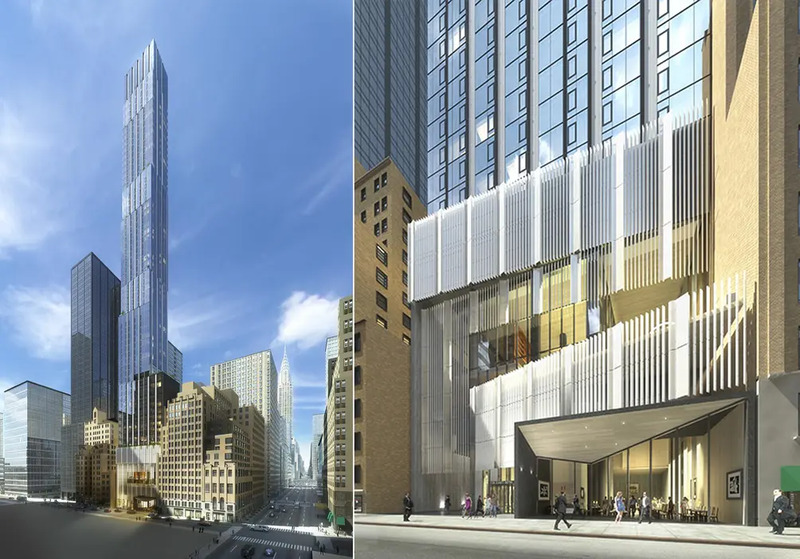 Now, the project’s co-developer, Ceruzzi Properties, has published a handful of new renderings of the tower’s porte-cochere and swimming pool. 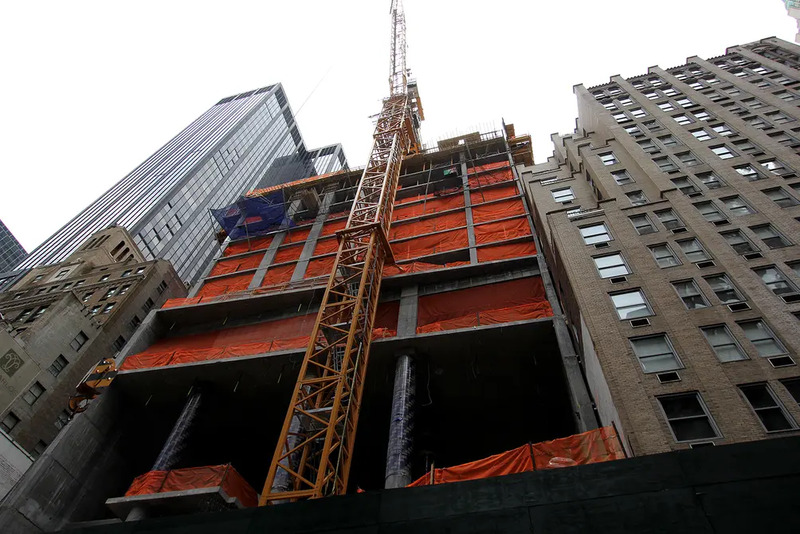 The building is currently more than a dozen floors up and is beginning to take its place in the crowded Midtown East skyline. 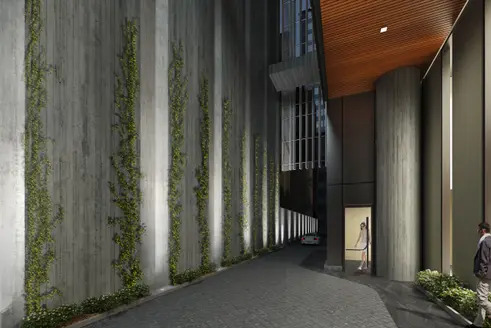 The tower will rise in a series of vertical thrusts and will be enveloped by a shimmering curtain wall that will allow for an unparalleled array of lighting experiences within the residences according to Ceruzzi. The tower rises midblock near the Waldorf Astoria Hotel and within close walking distance to Grand Central Terminal, Rockefeller Center and the prestigious offices on Park Avenue. 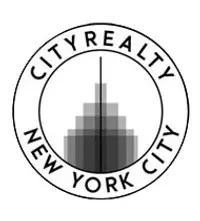 When finished, the tower will hold 124 upscale condominium residences that will offer postcard views of the Chrysler Building, the Midtown and downtown skylines and the East River. The 280,000-square-foot development is being shaped by Pelli Clarke Pelli Architects with SLCE as executive architects. In addition to the condos, there will 7,500 square feet of retail space, on-site parking, a swimming pool and a fitness center.